Quilts are one of the things we leave behind, and it is the Quilt Alliance’s mission to make SURE those quiltmakers are remembered. Help us further that mission as you pay tribute to someone special to you. Click here to make your own Thank You Thursday Tribute through December 31, 2014. Today’s Thank You Thursday Tributes is in honor of two industry visionaries, made by a third. The Quilt Alliance would like to say thank you to Alex Veronelli for this week’s tribute, and to all of our donors for sharing their stories and for helping us continue to share the stories of all quilters. Read previously shared Thank You Thursday Tributes here. I would like to extend an enormous thank you to Janet-Lee Santeusanio & Mary Schilke as they, in early 2009 insisted and persuaded me to take a flight from Italy to USA in order to visit MQX show in Manchester NH. That had been my first time attending at a retail show and gave me the opportunity to meet with people face to face and begin relationships with personalities in the quilt industry that have blossomed into friendships. 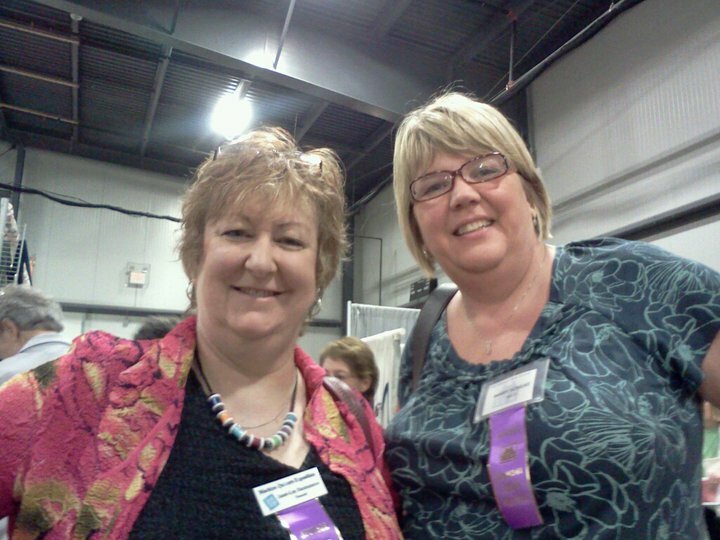 This was the first time I ever made an appearance in person at a quilt related show in USA, so I will never forget MQX 2009 as I consider it a fundamental life event for my business career. Alex Veronelli is Product Manager and Brand Jedi for Aurifil. Make your own donation to the Quilt Alliance in honor of someone who has given you the gift of quilting. Complete information here. Twice the Good (and why you should)! This year do twice the good with one donation. Remember the Quilt Alliance this giving season with a donation of any amount and each dollar you give will be matched by a generous family foundation (up to $15,000 total in matching funds). Please consider joining, renewing your membership or making a one-time gift by December 31. All donors are invited to honor someone special with all gifts over $25–see the details of our Thank You Thursday Tributes here. Donations of any amount advance our mission and allow us to continue the work that you value–documenting, preserving and sharing the rich stories of quilts and quiltmakers from all over our community. Please consider joining, renewing your membership or making a one-time gift by December 31. 1. Support the Alliance because you care deeply about the documentation and preservation of the rich history of quilts and their makers. Our members and donors provide significant support for our core projects like Q.S.O.S. and Go Tell It at the Quilt Show! and allow us to partner on projects like The Quilt Index. We document, record and share, even when you can’t be there! Over 100 Go Tell It at the Quilt Show! interviews were collected at the International Quilt Festival in Houston this year! 2. You will receive Story Quarters, a new members-only e-newsletter with “Behind the Seams” stories about quilts and their makers from our staff, board, volunteers, and partners. 3. You will receive discounts on ticketed events like Quilters Take Manhattan (Save the Date: September 25-27, 2015 in NYC! 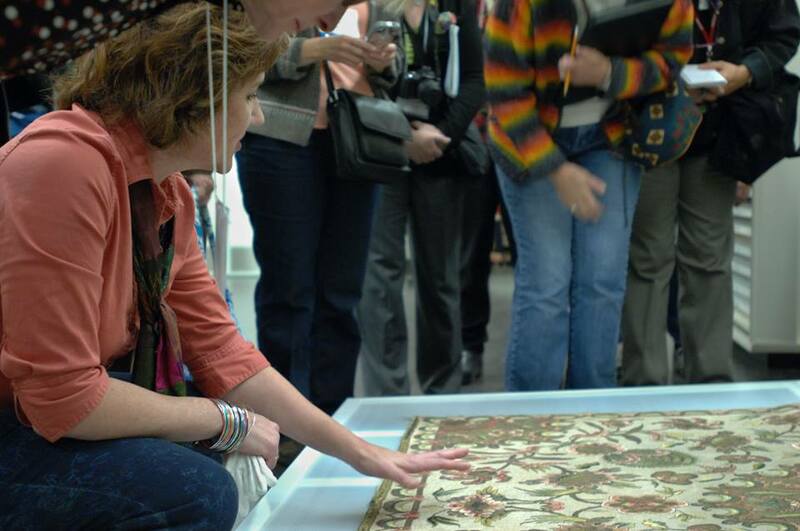 ), and our second Quilts & Oral history Conference (July 17-18, 2015, Herndon, VA). 4. You can enter our annual contest for only $5/entry. 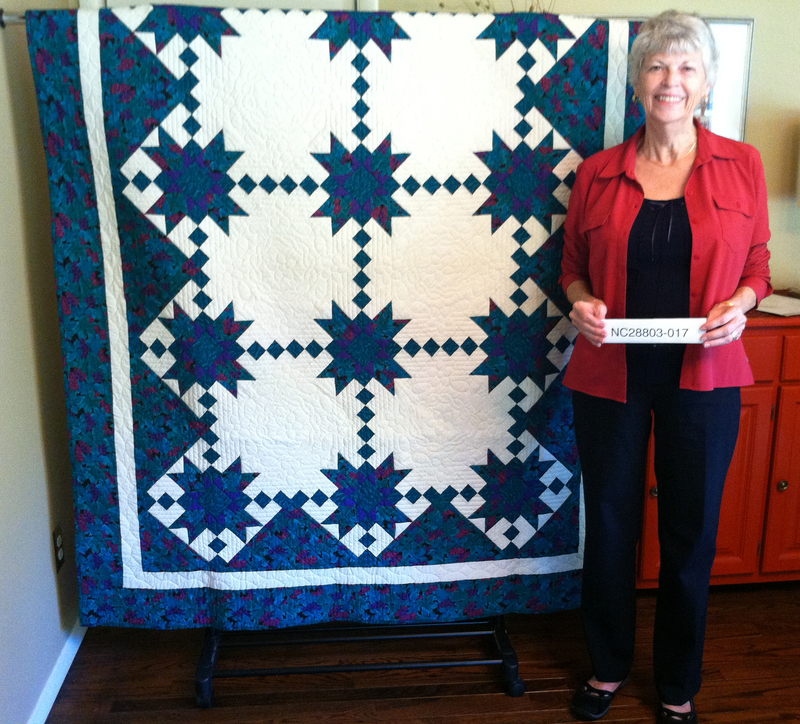 Handi Quilter Sweet Sixteen Grand Prize! Entries due May 1. 2015 contest theme: Animals We Love. A big thank you to Laura Wasilowski who teaches in person as well as on Craftsy where I met her. I made my first Art Quilt because of her class Hand Stitched Collage Quilts. I attached a copy of this quilt Cottage in the Dale and made a monetary donation in her honor. Because of the technique she taught me, I have also made three (3) Abstract Art Quilts and am working on more. My friend Cory was an accomplished quilter and needle artist. Orange was one of her favorite colors, a vibrant color that matched her personality. 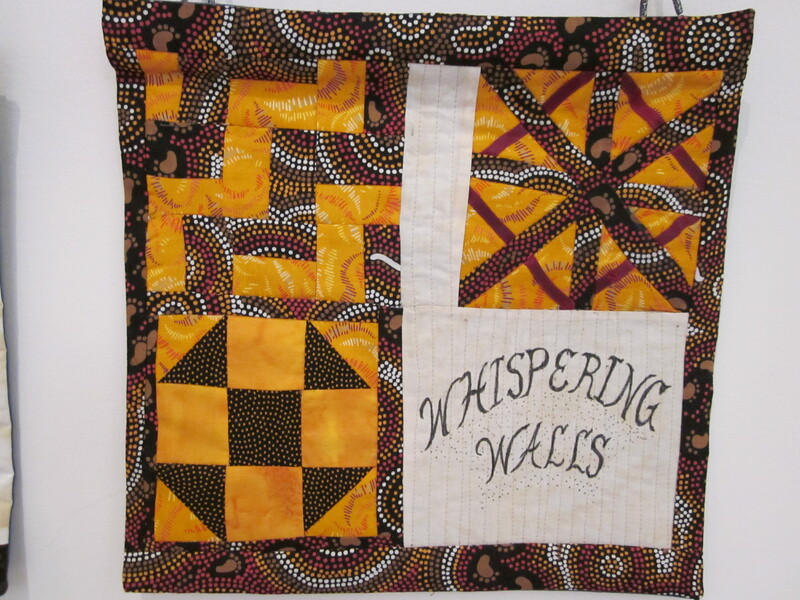 It was only fitting that Cory would sew the keystone block for “Whispering Walls, a suspended nine block quilt made to honor the nine enslaved persons kept at George Washington’s residence in Philadelphia. At her memorial service I discovered that Cory had won a first place ribbon from the prestigious Woodlawn competition for her embroidery. Woodlawn was the home of Nellie Custis, Martha Washington’s niece. Ona Judge, one of the nine slaves, escaped from the Washingtons when she learned that she would be given to Nellie as a wedding gift and taken to Woodlawn. Discovering Cory’s connection to Woodlawn was another fascinating part of her story-much like the quilt stories documented by the Alliance. My cousin Tracy was so far ahead of her time in quilting. She was a freelance commercial illustrator and her medium was applique, way back in the early 1970’s. I was visiting her after the death of my mom and somehow she knew what would be so helpful to me during that trip. Little did I know how how Tracy would change my life when she suggested I look through her fabric cabinet and take whatever I wanted to start a quilt. I’ve been quilting non stop ever since, and owe it all to Tracy. Here is my third quilt, from 1981, hand pieced and quilted. It was a sampler pattern and I didn’t know any better than to take on something so hard! This was before rotary cutters and see through rulers, I might add–and I used all cardboard templates. It took a year (I was milking cows and busy at the time.) I guess it was a secret harbinger of all the handwork to come. I’ve just made a donation in honor of my grandma, Esther Beechy McDowell, who learned to quilt as a young woman and inspired me to learn when I was in my teens. Needless to say, my adventures with quilts have pretty much shaped my adult life. 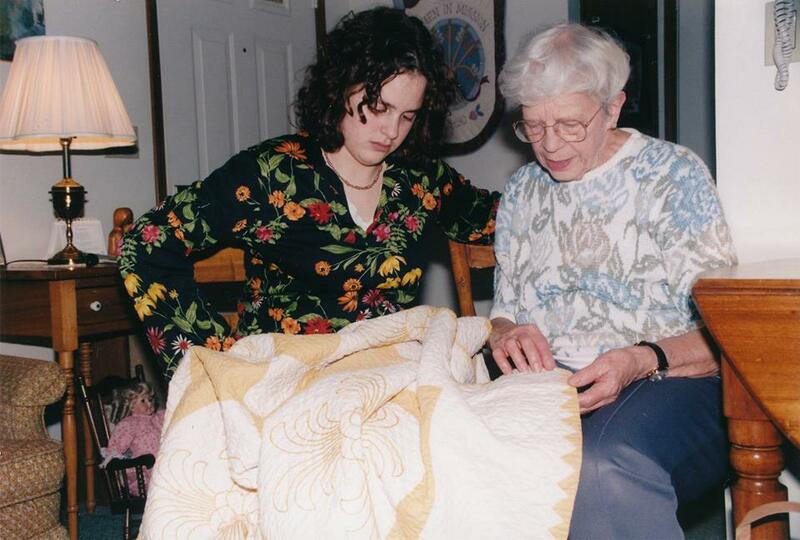 The photo is my grandma and me examining her first quilt, made c. 1928. See another photo here of Janneken working on her first quilt with three (of five) generations of Mennonite quiltmakers in her family. I just donated in honor of my first quilt mentor, Carolyn Ducey, who took me under her wing when I arrived at the International Quilt Study Center & Museum as a graduate assistant. 15 years later we are still the best of pals and the best of colleagues! Here she is doing what she loves the most: showing off our beautiful quilts to visitors at Quilt House. My thank you goes to my mentor, Lisa Ellis. In 2010, Lisa said that I could borrow her sewing machine while she spent the summer in California. I was going over to learn how to use it, so she said bring a few fat quarters. So I did and went for my machine lesson. What I got was the best 8 hour one on one lesson in beginning quilt making from a very talented friend. Lisa is so generous with her time and she has introduced me to so many wonderful quilters. Because of her, I quilt. Because of her I am involved in the Sacred Threads Committee, the Quilt Alliance and SAQA. I am forever grateful to my dear friend, Lisa for starting me on this wonderful journey and introducing me to the sisterhood of quilters. With my donation to the Quilt Alliance, I am honoring my very special mentor and friend Judy House who started the Healing Quilts in Medicine initiative that is now a huge part of my life and passion. I had been quilting for a year when I took her art quilt class at our local quilt shop in the fall of 2004. I learned so much from her in just three short sessions. She saw something in me that prompted her to invite me to participate in the Walter Reed Army Medical Center project to make art quilts for the cancer center. 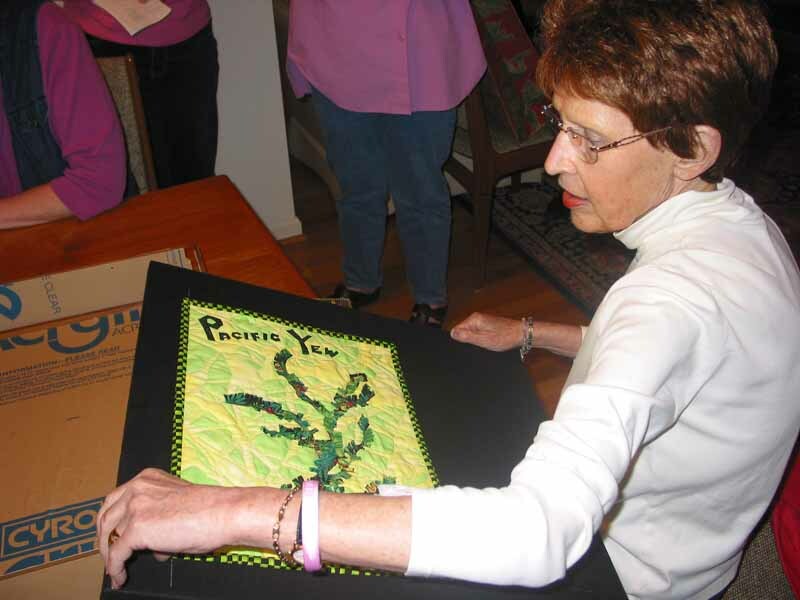 During the project, through the spring of 2005, I developed a close working relationship with her and learned about using our quilting passions to give back and make a difference. We lost this lovely woman in July 2005 to breast cancer. I miss her. Her legacy continues through many new healing quilts in medicine projects. There are several important women who inspired and/or mentored me along my journey as a quilt artist. I owe each a debt of gratitude for their gifts to me: my grandmother, Maude Tucker, the late Edith York, my “aunt-in-law” Ardeth Laake, Libby Lehman, and Hollis Chatelain. These particular women had a major impact on my work as a quilt artist. I am forever grateful. Visit Leslie’s blog to read her full-length tribute piece. When the Quilt Alliance moved to Asheville in 2006, I was still in my first year of working with the organization. Even though I grew up in Western N.C., I did not know the quilting community there at all. The Asheville Quilt Guild assigned Micki Batté as a liaison to help the Alliance get acclimated. She connected me to other guild members, let me borrow quilts to hang in the office, volunteered to help with events and projects and even helped us demonstrate our Quilters’ S.O.S. – Save Our Stories project during the taping of her own Q.S.O.S. interview with Alice Helms in 2011. 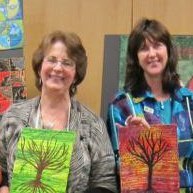 Micki became my go-to resource for all things quilt, but more than that, she became a friend and a mentor. She and her husband Tom embraced our family: attending dance recitals, soccer games, and birthday parties and sharing their friends with us. Micki came to our rescue during some tough times and brought sunshine (and cake) in. For all this, I am so grateful to her. Be sure to wish her a Happy Birthday with me on December 14! Giving Tuesday and Thank You Thursday! “Remember Me” by Sue Rivers. 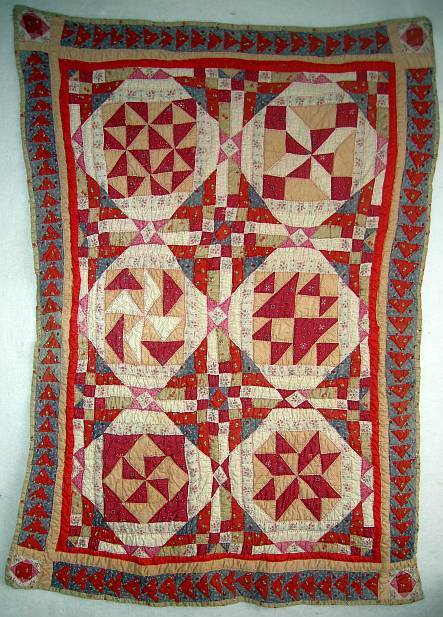 Click image to visit this Quilt Index record. Quilts are one of the things we leave behind, and it is the Quilt Alliance’s mission to make SURE those quiltmakers are remembered. Help us further that mission on Giving Tuesday ant through December as you pay tribute to someone special to you. See the Thank You Thursday Tributes posted to date. Giving Tuesday was founded in 2012 by New York’s 92nd Street Y in partnership with the United Nations Foundation as a global day dedicated to giving back. In contrast to Black Friday and Cyber Monday, Giving Tuesday is about coming together to give generously and then sharing your giving story to inspire others via the social media tag #GivingTuesday. This year on Giving Tuesday (and up to December 31), make a generous donation to the Quilt Alliance in honor of someone who has given you the gift of quilting: a teacher, a family member, or a friend who showed you how or inspired you to quilt. 1. Make a donation of at least $25. Make a secure online donation via our website. 2. Email your Giving Tuesday Tribute to information@quiltalliance.org. Send us text (200 words or less) – a story, a poem, a dedication–it’s up to you, and attach photo in jpg or png format. 3. We’ll share your tribute in our Thank You Thursday blog and eBurst posts starting on December 4th and running through December 31. Please share these posts on your social media sites with the tags #GivingTuesday, #ThankYouThursday, and #QuiltAlliance to share your support of our mission to document, preserve and share the rich history of quilts and their makers. Your gift will be matched dollar for dollar! And thanks to a very generous donation from a family foundation who believes in our work, every contribution made during the Giving Tuesday project will be matched dollar for dollar. Let me repeat that ; ) –every contribution made during the Giving Tuesday project will be matched dollar for dollar! I’m enjoying some quiet, and not-so-quiet-: ), family time this season. I hope you are too. The subject of the holidays comes up fairly regularly in our Quilters’ S.O.S. – Save Our Stories (Q.S.O.S.) interviews and I thought it would be fun to share images and excerpts from a few of my favorites with you. Please write in with your own favorites from the Q.S.O.S. collection. We’d love to hear from you! Kay Butler, interviewed by Heather Gibson in Dover, Delaware on December 16, 2000 for the Delaware Q.S.O.S. sub-project. Heather Gibson: Okay, tell me about the quilt you brought today. Kay Butler: Okay, this is a Christmas Mystery Quilt. We had a Mystery Quilt planned to do in our guild. There were four girls in the group. We were to select the fabric that we wanted, place it in a brown bag, and then pass it on to the next person in the group. And the next person would do a little bit more work, and it’s sort of like a “round robin” idea. And so I started this endeavor with a visit to a quilt shop here in Dover called Rose Valley Quilt Shop. I bought all of my fabrics there, in the Amish Shop, from a very dear friend, Rachel Hershberger. And I had in my head that I wanted a Christmas design. Normally I’m a real purple-lover, a real purple fan. But I thought, ‘I’m going to break from tradition here. I’m going to force myself to think in a different color realm here.’ And I chose what you see here on the end is called the “zinger” fabric. A lot of the quilters will buy a zinger fabric, and they will pull from that zinger fabric the various colors that are in there, like the reds and the greens and the golds that you see. So I bought the fabric. And in the brown bag we also include a journal. Each lady includes a journal, and they write the story of their lives in the journal. And what’s taking place in their lives, if they’re having difficulty with that step of the project that they’ve been doing. And that also documents the quilt and tells a little bit more about the quilt. It was interesting. Liz Joe interviewed by Herb Morehead in Houston, Texas on November 6, 2011 for the International Quilt Festival Q.S.O.S. sub-project. Liz Joe (LJ): The quilt I brought to show today is called “Wise Men Still Seek Him”. I made it to enter into a contest but it was an art festival that was sponsored by our church with a Christmas theme. The name of the show was ‘The Manger, the Magi, and the Majesty of Christ’. Every piece of artwork that was entered had to fit one of those themes and I chose the magi, the wise men. I should say, this was an art show, not a quilt show. This is the fourth year in a row I’ve entered something. It’s always been the only quilt in the show. Becky Goldsmith interviewed by Jana Hawley in Houston, Texas on October 23, 1999 for the International Quilt Festival Q.S.O.S. sub-project. 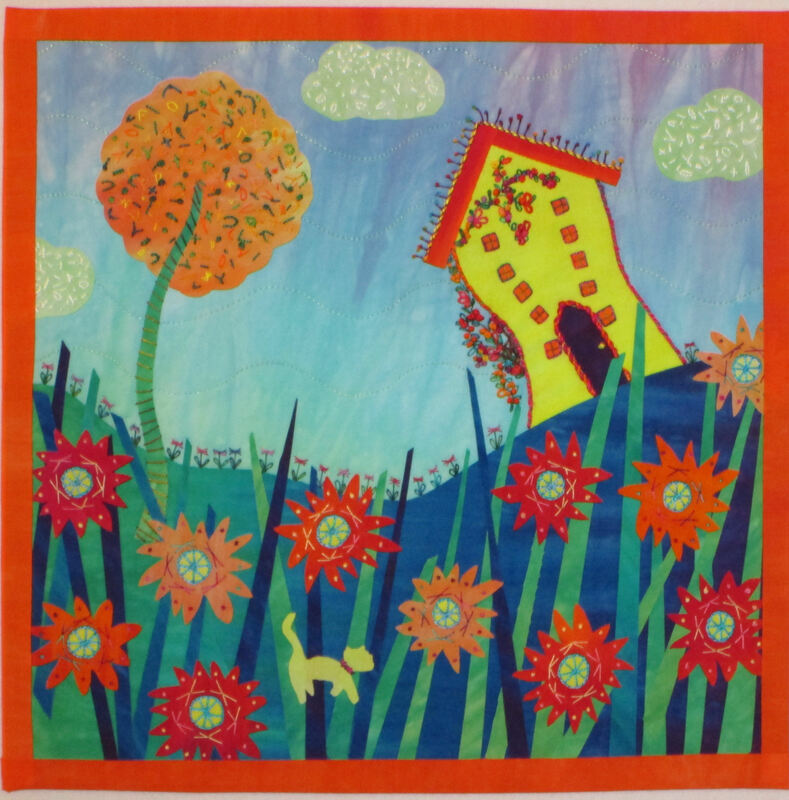 Becky Goldsmith (BG): This is a quilt that was designed to be published in a book that my partner and I wrote for That Patchwork Place. I made this quilt and it ended up being on the cover of the book. Jana Hawley (JH): Oh my God. That’s impressive. Have you made lots of quilts? BG: Yes I have. I started quilting in–I can’t remember the year–probably in 1986 when my youngest child was about– no, it would be 1985, because he was not quite a year old. We had moved. My husband had just gotten out of graduate school and we were poverty stricken. [laughs.] And we got bunk beds for the boys because Jeff kept trying to climb out of his crib. I thought he was going to kill himself. We bought these used bunk beds and I couldn’t go out and afford to just buy the whole matching sheet sets for the bunk beds, so what I did was–I thought to myself, ‘Well I’ll make quilts for these beds.’ That morning in the paper there was printed an article that said, ‘If you want to make a quilt, make it from scraps.’ [laughs.] So that’s what I did. I didn’t research this. I didn’t think it through. I just took it as a message on high to make these quilts. [laughing.] I used up all of the scraps I had ever accumulated from garment making because I had sewn and made garments through the years. My husband was so sweet. He helped me with the cardboard template because it said to make the templates out of cardboard. I made these really long, skinny Drunkard’s Path quilts because I thought it would be easier to use on a bunk bed. They were non-functional. It’s a bad plan for a bunk bed. Quilts have a drop on the side for a reason. I didn’t know that then. [laughing.] After that, my mom got a quilt book and I borrowed it from her then I took a class. From then on, it was much easier. Resna Ximines Hammer interviewed by Evelyn Salinger in Washington, D.C. on September 27, 2005 for the Daughters of Dorcas Q.S.O.S. sub-project. Evelyn Salinger (ES): Good. Nice of you to come today with your things to show. Let’s start out first with your telling me what you have made here. Resna Hammer (RH): These are two–One of the things that I am actually very passionate about is Jewish ceremonial kinds of cloths. And this is called a Challah cover and it’s used to cover bread on the Friday night dinner. This particular one also I tried to incorporate all of the holidays that would come in the certain period of time. Here this is Hanukkah, this is the symbol for Hanukkah, this is Purim, which is another one, and the pomegranates are for the High Holy Days. ES: Do you actually use this on Friday nights yourself? RH: We actually use it on Friday nights. ES: Every Friday night or just on the holiday time? RH: Just on the holiday. I have another one for Friday. I believe that the table should be beautiful. And normally what your traditional Challah covers are usually silk and they are painted on and I thought what I wanted to do and what I’ve been doing, a wonderful quilted ones that I just think enhance the day and the ceremony. This also has incorporated in it the seven species, which is in the Bible and that are things that are all incorporated with Shabbes or to do with the Sabbath. What I’ve written here in Hebrew is, it’s like, ‘For all the Miracles that You Perform for Us,’ and ‘We Thank You.’ I wanted it every Friday night to be able to see that. If you share the Quilt Alliance’s belief that all quilts and quiltmakers deserve a spot in history, please make a contribution today to add the financial fuel we need to continue and grow. You can make a secure gift online via credit card or Paypal or download our mail-in donation form here. Every dollar donated through December 31, 2013 will be matched by an anonymous foundation, up to $15,000. If your are a member of this Alliance, if you have attended one of our events, if you believe in what we are doing, please make a contribution. Any amount makes a difference. What Does a Nonprofit Need Most? Yesterday, the Quilt Alliance published it’s Video Annual Report for 2013 (watch below). I love working on this project every year because I get to see not only how much we’ve accomplished and where we’ve been, but especially who we are. This Alliance includes quiltmakers, quilt owners and collectors, quilt historians, quilt shop owners and staff, museum and historical society folk, quilt industry representatives, archivists, teachers, lecturers, oral history buffs (to name a few), and our love of quilts and commitment to quiltmakers brings us together. Whether we are old, young, black, white, “plain,” “English,” rich, poor, or quilt traditional or modern, we are all quilters united by that desire to create something wonderful from a lifeless pile of fabric! Blest Be the Threads that Bind celebrates Quilt Alliance’s twenty years of service to the American quilting community, a community that transcends time and endures even now in the 21st Century. Our members and the people we document through Quilters’ S.O.S. – Save Our Stories (Q.S.O.S.) and Go Tell It at the Quilt Show! interviews, and our partners and contributors with whom we work on the Quilt Index project, come from every corner of the quilt community. That diversity is what every nonprofit needs most. It is our mission to document, preserve and share the full spectrum of what has and is happening in the quilt community today, and having members and supporters with unique perspectives in this community and different gifts to share, fuels our mission. This year, we started the year by documenting quiltmakers at the Modern Quilt Guild’s first “QuiltCon” in Austin, Texas and finished the year at the 39th annual (!) Houston International Quilt Festival, documenting exhibiting quiltmakers and sharing our mission with attendees. Thanks to the leadership of both of these shows for supporting our mission! Our staff and board members also made presentations and collected interviews at guilds and quilting events all over the United States, including our own Not Fade Away Conference in Herndon, Virginia in July and our Quilters Take Manhattan event in September. We end our 20th anniversary year feeling energized by this Alliance of passionate members, volunteers, partners and colleagues, and we ask for your help raise the necessary funds to continue our work, to continue to document, preserve and share the history of our community. Please make a contribution today to add the financial fuel we need to continue and grow. You can make a secure gift online via credit card or Paypal or download our mail-in donation form here. 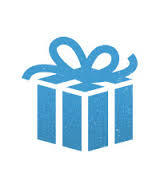 Every dollar donated through December 31, 2013 will be matched by an anonymous foundation, up to $15,000.